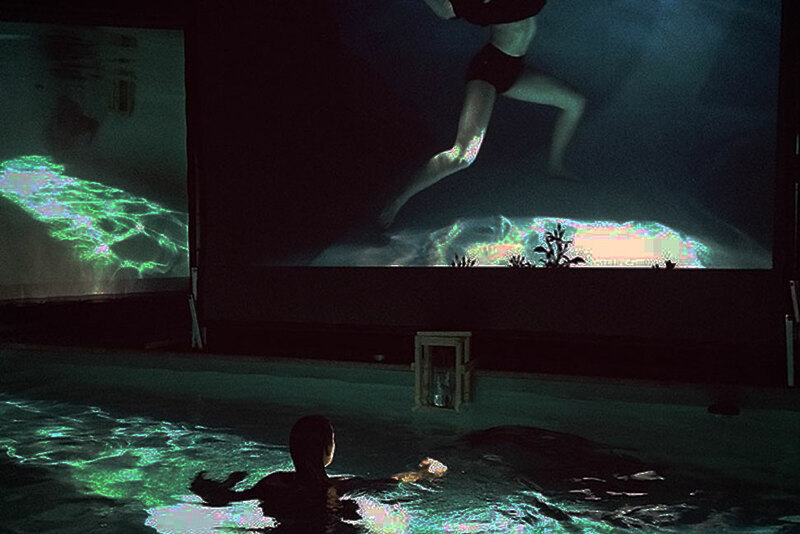 Wading | Waiting is an audiovisual experience by Marlene Reischl and Philipp Feichtinger, performed by Bianca Anne Braunesberger . 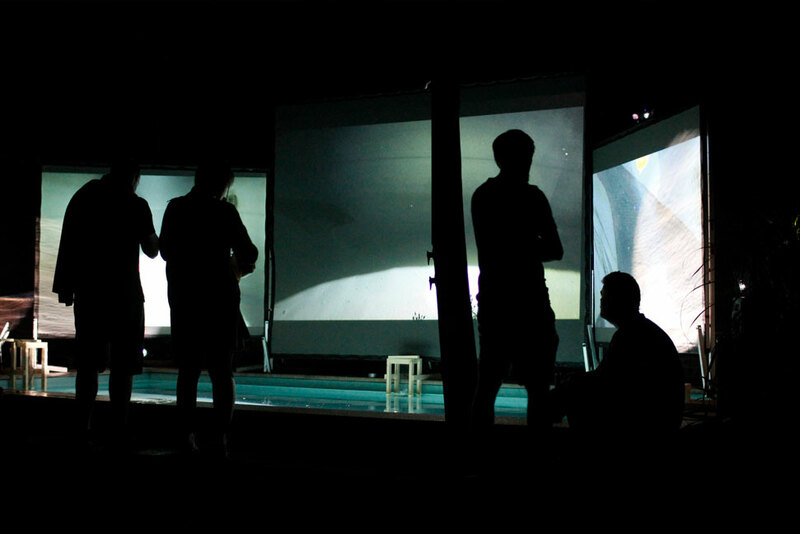 The stage is a swimming pool surrounded by three canvas screens, where a solitary dancer leads the audience through a moony scenery. 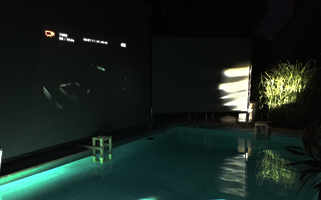 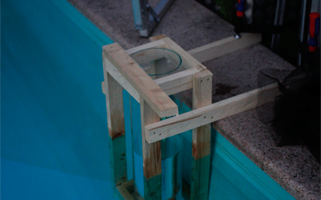 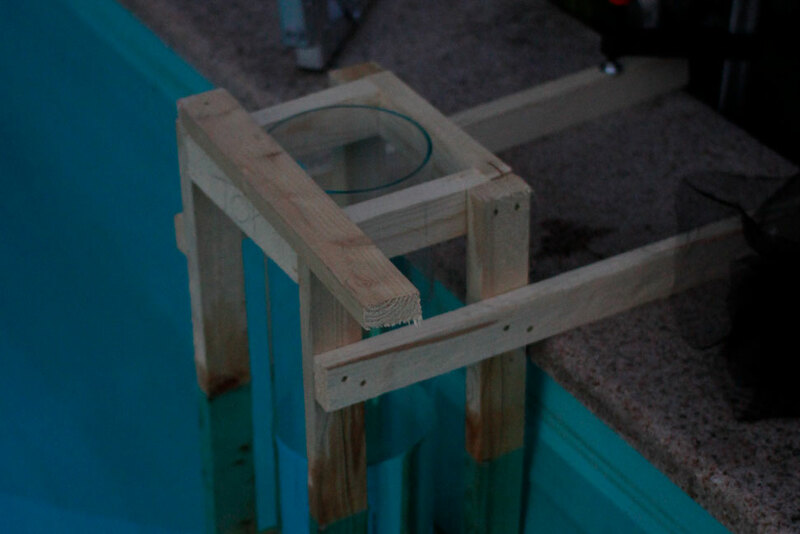 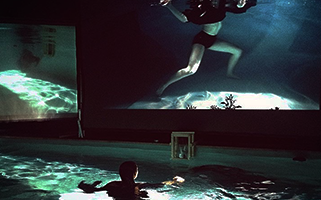 Three cameras mounted in the pool feed the underwater events to the respective screens above the pool, creating an immersive environment by shifting the audience's viewpoint below the water surface. 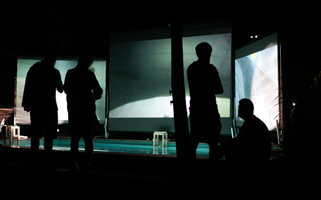 The performance consists of two parts, aligned to the soundtrack, which is performed live by Philipp Feichtinger and Marlene Reischl. 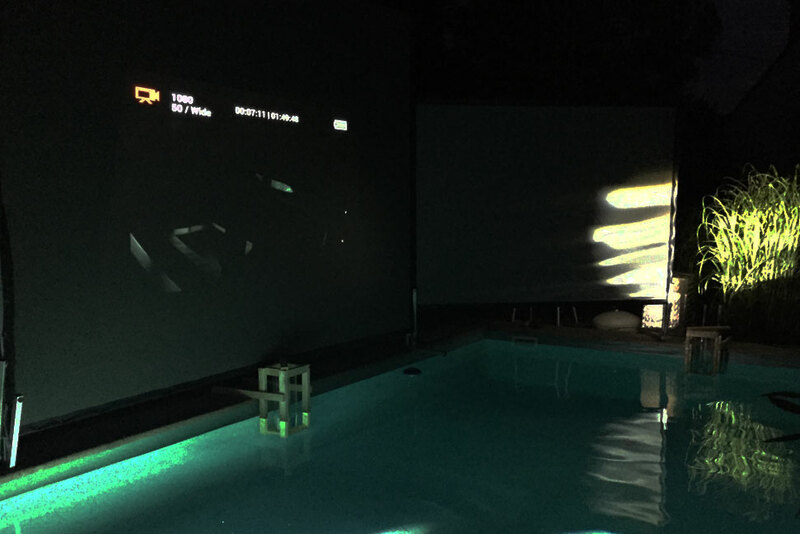 After starting off with an ambient, calm soundscape using underwater recordings from the nearby danube, the first kickdrum introduces the transition to an atmospheric Techno track.